There’s Krui Right in the other direction. Yep, a right in Indonesia. It’s not the most consistent wave in the area, but when it’s on, it’s on! Rumour has it, that there might be more than one right around (wink). A fun, fast wave. Mandiri is the beach break a short drive south from Amy’s Place, where there are peaks up and down the beach, so crowds aren’t a concern, and you can leave your booties behind. 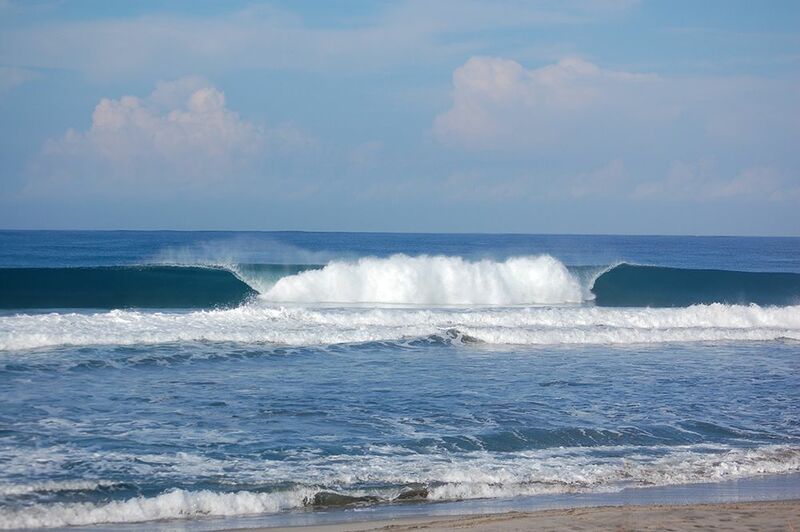 Mandiri is a punchy wave with lots of barrels to go around, and like most beaches, it’s best in the early mornings, and is definitely the place to go if there isn’t much swell around. 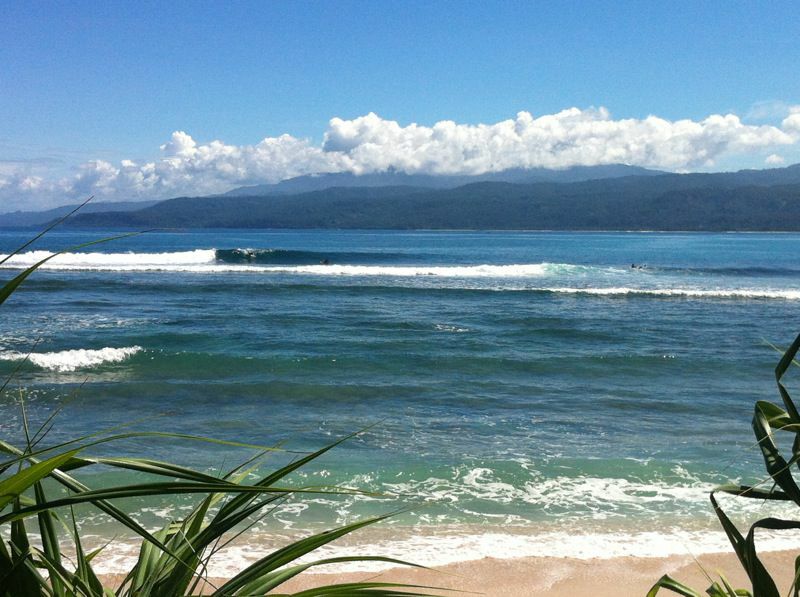 Most would agree that the most popular and dependable wave in South Sumatra is Ujung Bocor, a left, which can provide impossibly long rides and is best suited for the intermediate and above surfer, due to unforgiving nature of the reef. 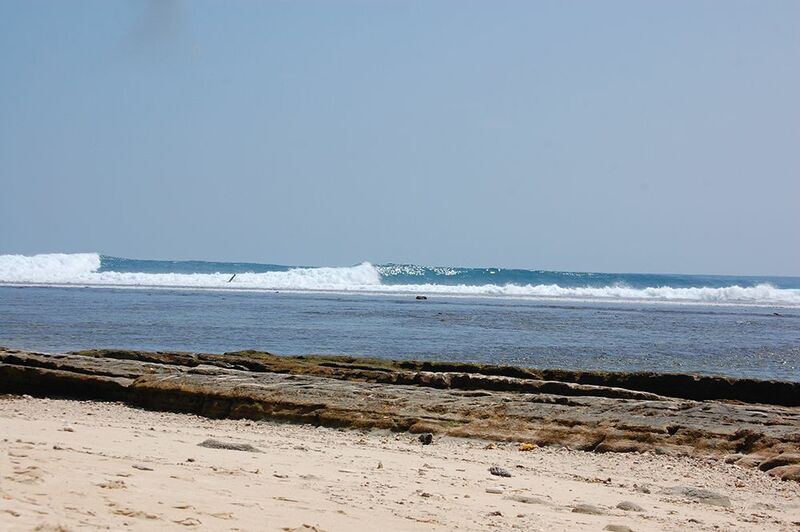 Only minutes from Ujung Bocor, is Way Jambu, often called Sumatran Pipe. Best at high tide and THE place to go if you came to step up your surfing. 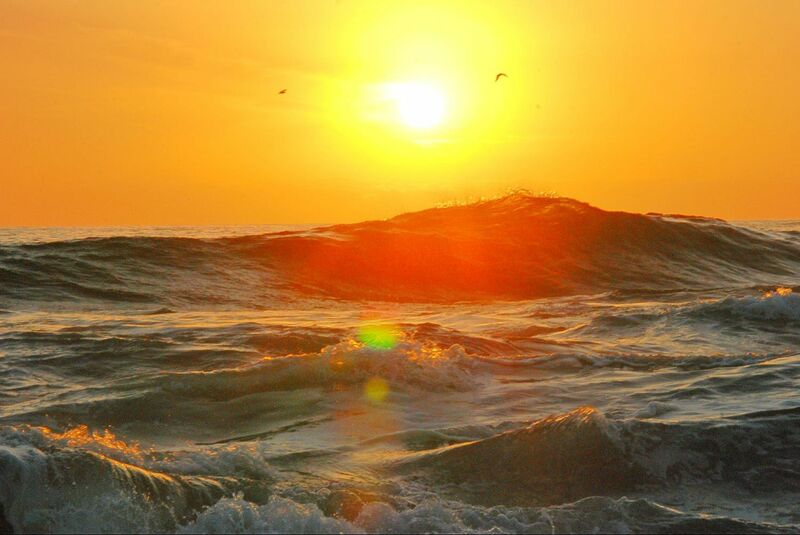 A fast, barreling left for accomplished surfers. Hati hati is Indonesian for ‘be careful’. Traveling north from Amy’s Place, are more waves than I can realistically post here. Several are visible as you drive up the ocean view road, through the jungle with monkeys jumping from tree to tree. To name the usual suspects, there’s Jenny’s Right (another right! ), which is a fun wave, that has a whack-able wall and a great option if the winds to the south are onshore because Jenny’s will be offshore; then there’s Jimmy’s (right & left), the right being more popular with the body board crowd due to it’s thickness and end section, and the left being more user friendly, but still a heavy wave. Honeysmack’s (also known as A-Bomb) rounds out the top 3 in the Pugung area, but don’t let the name fool you. A quick, barreling left that you want to bring your A game for. You can always find a wave that’s bigger or smaller, faster or slower, or more/less forgiving when you go surfing in Indonesia.